The rhythm and familiarity of our liturgy owes a large debt to the Oxford Movement within the Church of England. In the 1830s, English Christians faced some of the same issues we feel concern about today: increasing secularism, hazy theology, neglect of the poor, and too little emphasis on the Eucharist. The earliest Anglo-Catholics urged for a return to the beauty of traditional rituals, emphasizing that they must be shared with those who lived in poverty. They wanted the sacraments to be issued to everyone who needed them, regardless of status. Anglo-Catholicism acknowledges and respects the long history of the Church, beginning when Jesus established the priesthood at the Last Supper. Our worship centers on receiving the body and blood of Christ, and our children's education program focuses on preparing children for their first communion. Anglo-Catholicism isn't just incense and processions, however. We also reach out into the community, hosting the New Friends Homeless Center in our parish hall three times a week: dinner on Tuesdays and Sundays, with Bible study on Mondays. Parishioners also raise money to help those in need with the Count Your Blessings campaign every year. As we acknowledge what God has given us, we give as Christ commanded to those who have little. Ask us about First Communion! 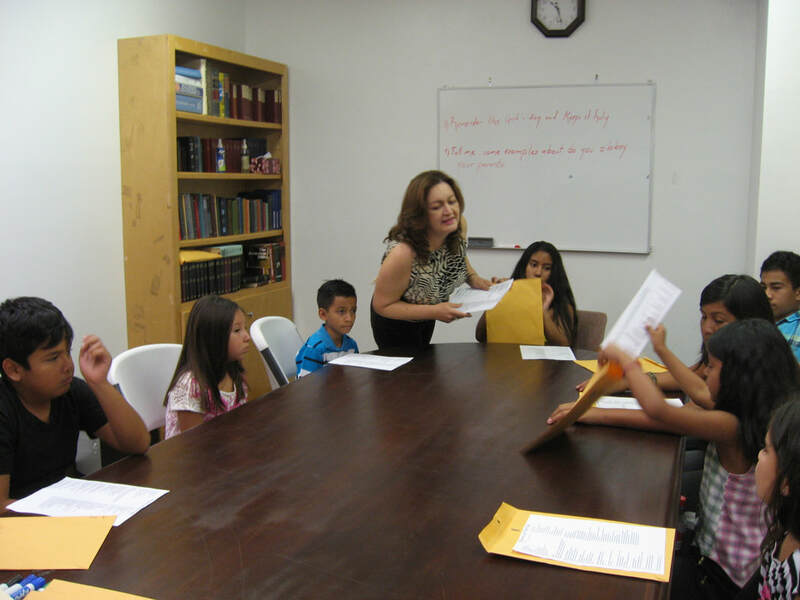 Dalia teaches a first communion class.